This is our first Christmas where Ryleigh and Tanner truly have an understanding of what is going on. They are so excited about this season and I love that about this age. We are trying very hard to walk the line of making them understand the true meaning of Christmas and why we celebrate it and also having fun with the holidays. 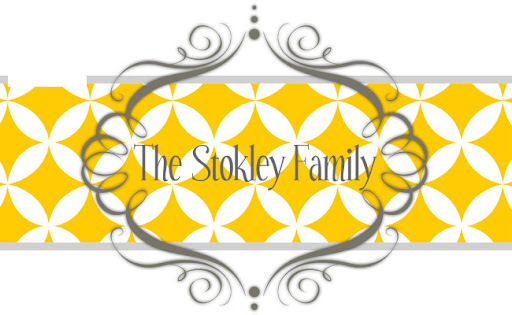 This is also the first year we are going to incorporate some traditions into our holiday season. Mom started a great one with them when they were born where she takes them to the store to pick out an ornament. The first year they got baby's first Christmas ones. She keeps them in a box separate and when they are older and have their own trees they can take the box with them. Each ornament represents a time in their life and I think that is so special. Ryleigh has already said she wants a my little pony one for this year and Tanner wants a guitar one. Good luck finding those mom! We are starting tonight with a tradition called a Jesse Tree. Every evening for about four weeks until Christmas, the family reads through a devotional, talks about the lesson, and hangs the appropriate ornament on the Jesse Tree. Each lesson walks chronologically through the Bible, highlighting historical moments that lead to the birth of Jesus. And each ornament highlights the devotional for that day. We are going to use a simple tabletop tree for this and use ornaments that Ryleigh and Tanner can color from templates I found online. Here is a link that tells more about it and the reason why people do this. I know it's mostly for catholic people but I thought it was a great way to tell the story of Jesus and lead up to his birth. The second tradition we are starting is Elf on the Shelf. This one has no great spiritual meaning behind it but it is just a fun way to get excited about Christmas. 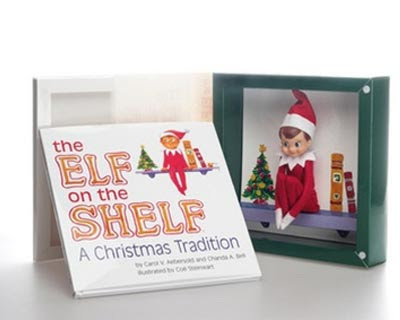 This is the description from the website: Elf on the Shelf is based on a tradition Carol Aebersold began with her family in the 1970s. This cleverly rhymed children's book explains that Santa knows who is naughty and/or nice because he sends a scout elf to every home. During the holiday season, the Elf on the shelf watches children by day and reports to Santa each night. When children awake, the Elf on the shelf has returned from the North Pole and can be found hiding in a different location. This activity allows The Elf on the Shelf to become a delightful hide-and-seek game. Each collection comes with its very own scout elf, a hardbound children's book, and a keepsake box for easy storage. In addition, each shipment is marked for “Special Delivery” from Santa's workshop. I wrapped the box up and put it outside last night and then told them I thought someone was at the door. They ran to the door and were so excited to see a "Special Delivery from the North Pole" addressed to them! We then read the book and set him on the mantel. You're suppose to name the elf and record it in the book along with the year you started the tradition. Ryleigh named our elf "Scout the Window." "Scout" because she heard him referred to as a Scout Elf in the book and "The Window" because she said he needed a last name. They were really excited to wake up this morning and find where he had moved to. I also got a kick out of finding different hiding places. I hope these are traditions that stick with us for years. Although I love the holiday season and all the craziness that comes along with it I think it's important to sit back and remember why we really celebrate Christmas. As Ryleigh said the other night "It sure is nice of Jesus to let us get presents on his birthday!"